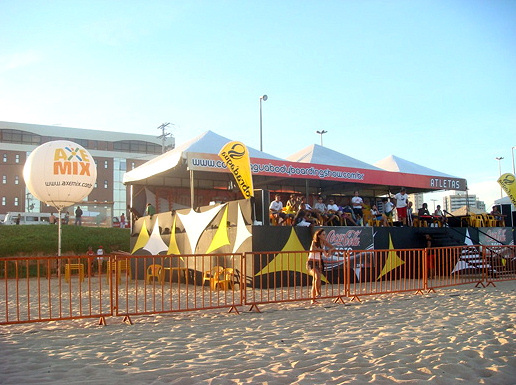 On Thursday the girls debuted at Cobra D’Água Bodyboarding Show Bahia 2009. The event, that distributes US$ 35.000 and 1000 points on IBA World Ranking, happened today with some wind and difficult conditions on Armação Beach. 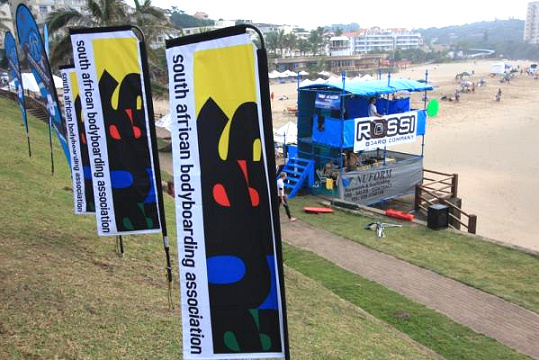 The 2009 Sport Chalet US Open of Bodyboarding is just around the corner and it will be held between 23-25th May. This year Bodyboarding will host it’s own US open to crown it’s champion on the historical Huntington Beach Shores. 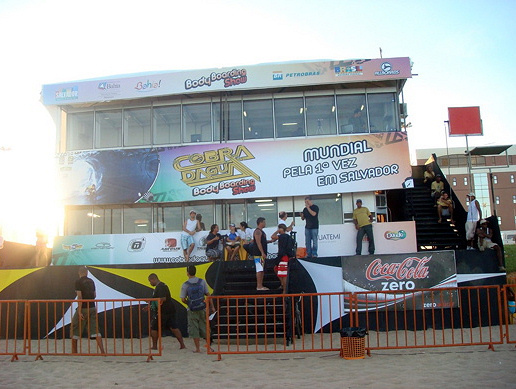 The Cobra D'Água Bodyboarding Show is ready to receive the best riders in the World. Durban local Mark Watts took top spot in the Pro division at the 10th Annual 4A rated Wimpy/Rossi Pro Am yesterday afternoon in an awesome display of high risk manoeuvres. A huge crowd gathered on the Beach as the sun rolled out perfectly from behind the dark clouds that drenched everyone earlier in the day, to watch the finals that got under way at 2:30pm. The 2nd and last day of the 10th Annual 4A Wimpy/Rossi Pro Am got underway early morning in cold and wet weather on Margate Beach. Perfect conditions on Estaleirinhos Beach today. Good waves with 4-6 ft and no wind, the beach was crowded and the bodyboarders got a huge show to everybody here.